When big PS3 games are released, Sony often launches a limited edition PS3, either with a special design or in a unique color. Role-playing game Tales of Xillia is no different. Out on September 8, the game will be sold as a stand alone title in Japan or bundled with a Tales of Xillia PS3. 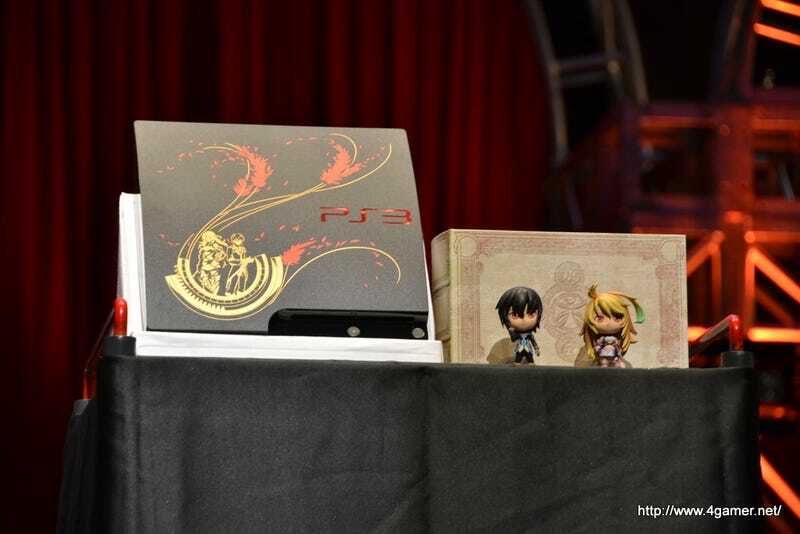 It's the first PS3 to feature several different colors (gold and red). The result is striking. The bundle is priced at ¥37980 or US$470. There are also other pre-order goodies such as mascot charms.